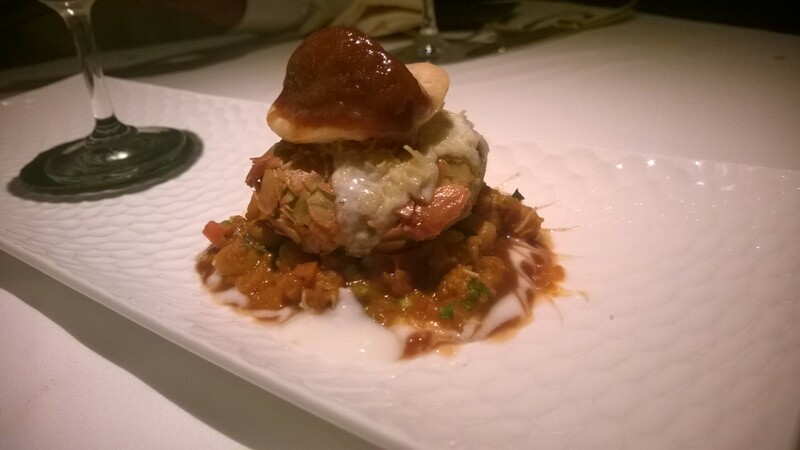 At Ziya, Michelin starred chef Vineet Bhatia has taken the the simple Delhi chaat and given it an innovative international spin to make it contemporary. In fact he took the same idea to different street foods and it works surprisingly well (follow up post). To me this is genius, simply because you can preserve the tamarind chutney longer by freezing it and use it as the pair of shoes that makes an outfit look splendid. Maybe that’s what these Michelin starred chefs do. Regarding the chaat itself, it was nice. Potatoes and peas together, not mashed enough to make it a mush, not hard enough to be annoying to chew.